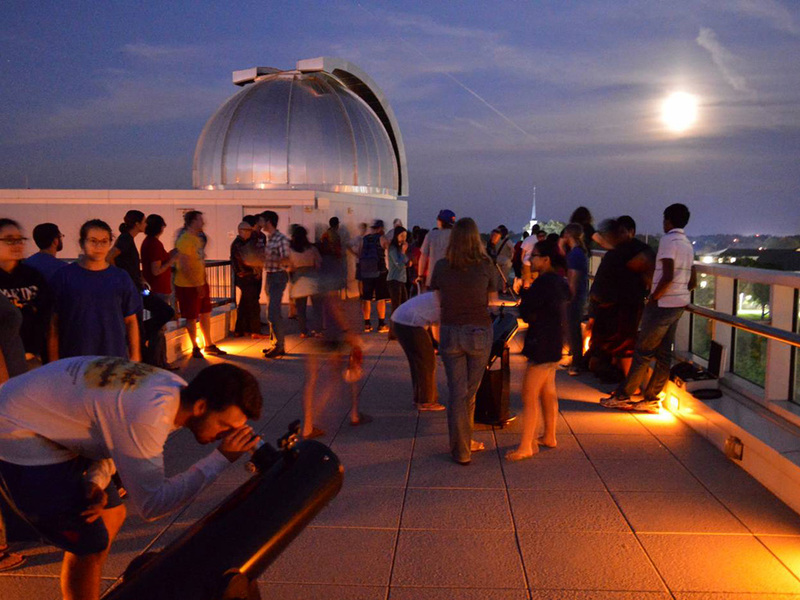 Austin College’s Adams Observatory will open its doors to the community April 12 for the final Star Party of the academic year, inviting visitors to search the universe through the largest research telescope in North Texas. Members of the community are invited to attend the free come-and-go event, 9 to 10 p.m., but should register in advance under the “Upcoming Events” link. The evening will provide an opportunity to see moon craters, twin stars, and globular cluster, plus planetary gravity activity. 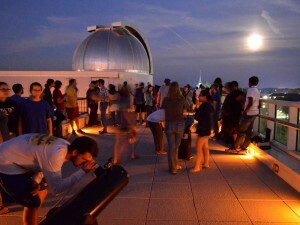 Because several previously scheduled Star Parties had to be canceled due to cloud cover or other weather conditions, faculty and students now schedule “rain or shine” events that include various indoor activities that allow an event to continue regardless of weather, even if telescope viewing is not possible. Austin College, a private national liberal arts college located north of Dallas in Sherman, Texas, has earned a reputation for excellence in academic preparation, international study, pre-professional foundations, leadership development, committed faculty, and hands-on, adventurous learning opportunities.One of 40 schools profiled in Loren Pope’s influential book Colleges That Change Lives, Austin College boasts a welcoming community that embraces diversity and individuality, with 46 percent of students identifying as persons of color. The residential student body of approximately 1,300 students and more than 100 expert faculty members allow a 13:1 student-faculty ratio and personalized attention. This year, the campus recognizes 100 years of co-education and has had several opportunities to recognize the history of women and accomplishments of current alumnae. Austin College is related by covenant to the Presbyterian Church (USA) and cultivates an inclusive atmosphere that supports students’ faith journeys regardless of religious tradition. Founded in 1849, the College is the oldest institution of higher education in Texas operating under original name and charter.